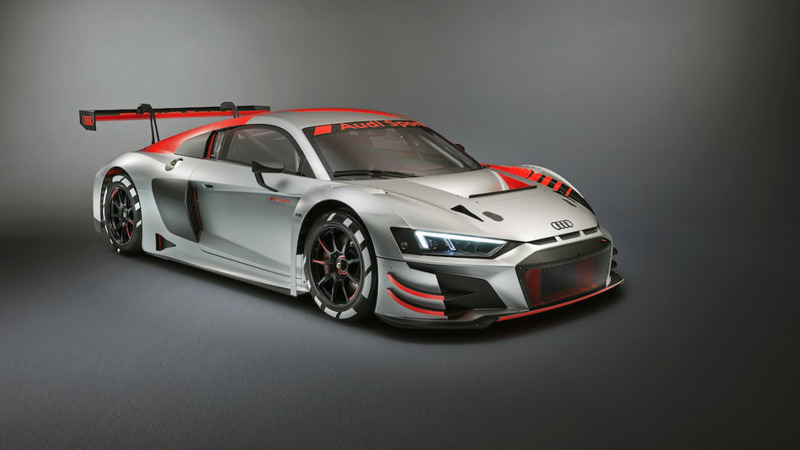 Audi Sport took to the Paris Motor Show Tuesday to unveil an updated R8 LMS GT3, its fourth new model in as many years, with elements borrowed from the production version of the R8 and what Audi says is a more customer-focused evolution. Engineers opted to make moderate changes and focused on four areas: aerodynamics, brake cooling, the clutch and transmission. There's a new splitter at the front to give it a modified face but also greater downforce, and varying ride heights due to suspension setups, driving conditions and different driving situations now have smaller effects on the airflow, leading to higher aerodynamic stability. There's also improved airflow to the rear brake system and more efficient release of heat from the ventilated disc brakes to prevent the wheels from overheating in race situations, plus better airflow through the front bumper to help cool the front brakes. 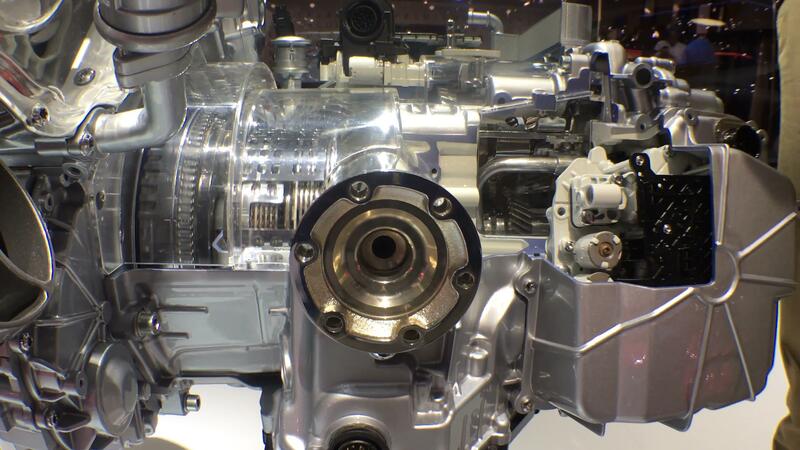 Audi Sport also says the car's three-plate racing clutch, gear teeth and bearings have all been made more durable, while engineers found a way to reduce wear and tear on the locking differential, which simplifies handling. There's also a new carbon fiber-reinforced plastic crash element at the rear that fulfills the crash test requirements for Le Mans prototypes. Though it rides on the same chassis as before, it's now about 66 pounds lighter at 2,700 pounds empty weight, thanks to the use of aluminum in the space frame, structural carbon fiber in the center tunnel and back wall and steel roll cage, yet the supporting frame also boast 39 percent additional torsional stiffness. 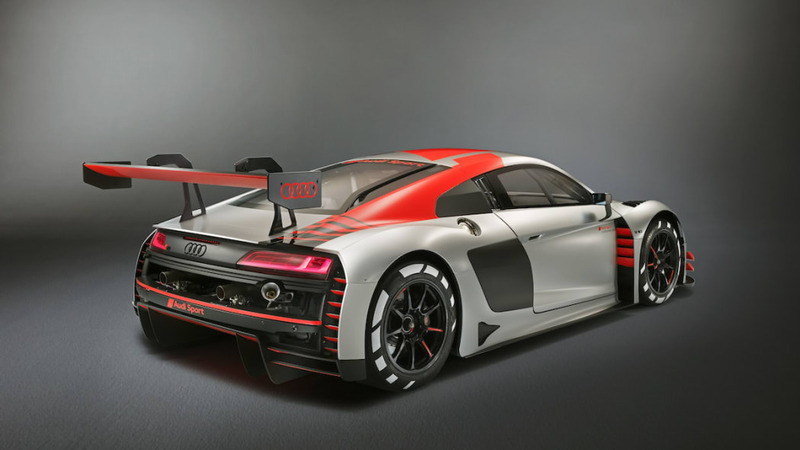 And Audi says the manufacturing process of the production and race versions of the car are more interlinked than ever at its plant in Heilbronn, with the racing chassis integrated in the production process up to and including the point of roof assembly and cathodic dip painting, a type of priming. That's despite the racing variant's use of cast-aluminum nodes and steel roll cage. 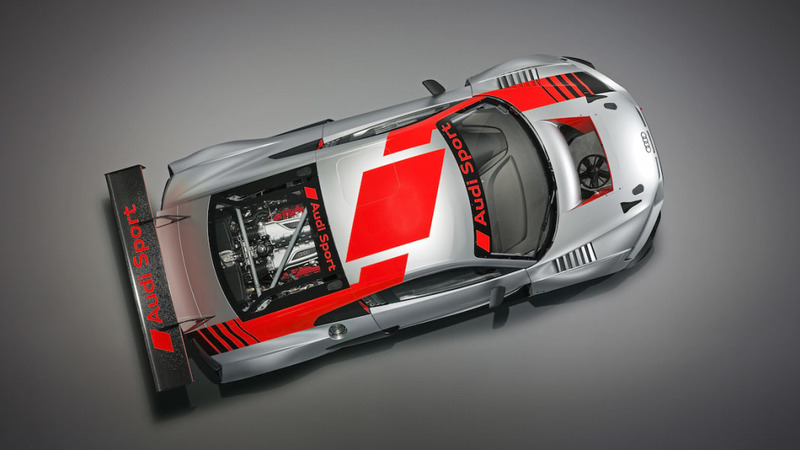 It also borrows the same 5.2-liter V10 that makes up to 585 horsepower in racing guise. It is also produced on the same assembly line as the R8 Coupe production version and is nearly identical, with a service interval of 6,213 miles and 12,427 miles for the first rebuild. The power is sent through a sequential six-speed performance transmission with paddle shifters. 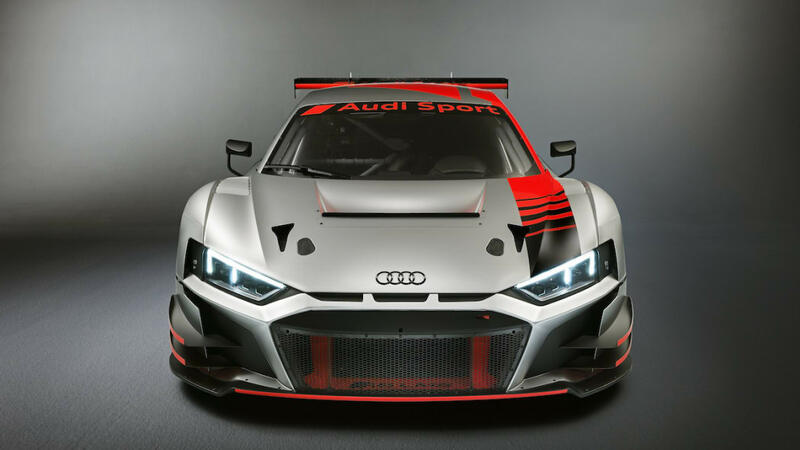 U.S. pricing wasn't announced, but Audi Sport said it will deliver the first customer race cars in November at 398,000 euros, which translates to about $460,000, not including Europe's value-added tax. An evolution kit for retrofitting older models goes for 28,000 euros. 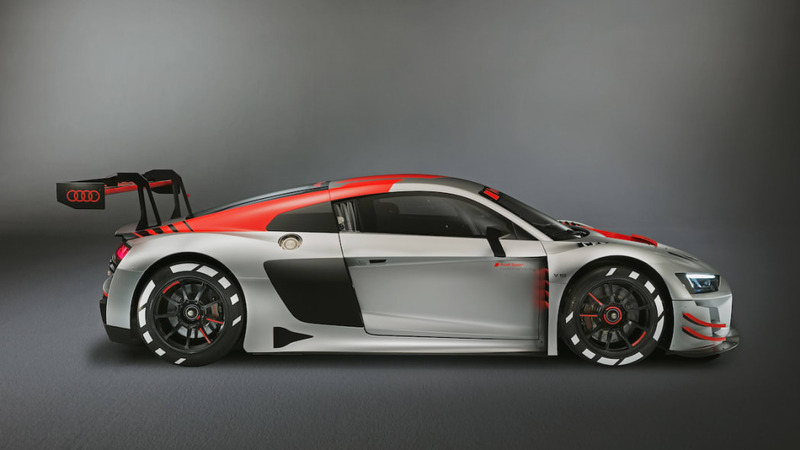 The R8 LMS GT3 will hit the international race circuit following FIA homologation in January.